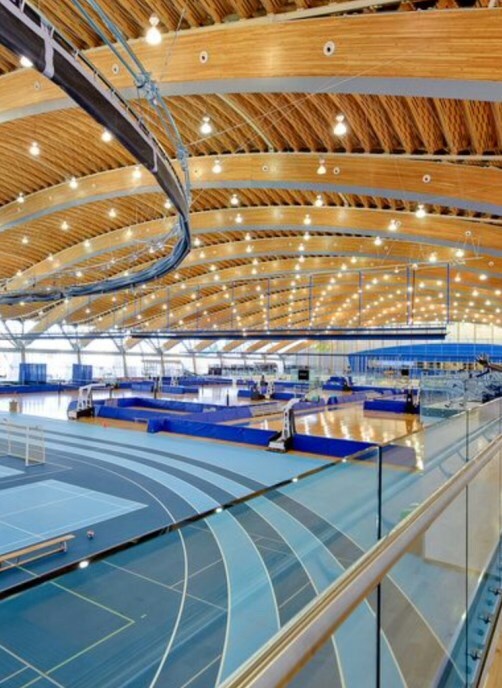 Aura Rhythmics trains athletes not only for sport, but for life. We have built a club founded on trust, friendships and family. Our first athletes return to visit with their own families now, and share fond memories of their careers as rhythmic gymnasts. Their love for athletics was driven by the skills, choreography, coaching, travels, competition and stability of belonging to a loving team. We are proud of the work we have accomplished over the past 25 years, and look forward to the future. I did rhythmic gymnastics with Aura Rhythmics from when I was 6 years old until I was 16. My time in rhythmic gymnastics greatly shaped who I am today in so many ways. For one, Aura gave me a sense of belonging – to a community, to a friend group and to a second family. It kept me busy and out of trouble as a teenager. I also credit RG for giving me my competitive drive and determination, which served me in gymnastics but has led to a successful career as a woman in business. The memories from my 10 years at Aura are priceless – the time I spent with my grandfather driving me to gymnastics everyday, competitions around the world, my first time on the podium, our summer camps after the break. These are memories that I will always look back on fondly and I am so grateful for Aura Rhythmics for bringing us all together to experience everything that we did. I remember being seven years old and having to choose between gymnastics and horseback riding – I know I made the right decision pursuing gymnastics, and I cannot wait until my future children have their first day at Aura Rhythmics too! I joined Aura Rhythmics in 1999. At that time, I had been competing in Rhythmic Gymnastics for eight years, at the national level for four. I considered myself be a seasoned athlete, having experienced many coaching styles and techniques. When I joined Aura Rhythmics I found something different. I found a team of likeminded athletes and most importantly an exceptional coach. Kamena Petkova quickly identified and addressed areas for improvement in my conditioning and technique. She also helped me find the confidence I needed to become a better competitor, not only physically, but mentally. Kamena pushed me to challenge myself in new ways, and to overcome those personal factors that were preventing me from competing at my best. She was a continuous source of inspiration for me. Her empathetic and encouraging nature, paired with her rigorous coaching style made for some seriously good rhythmic gymnastics. 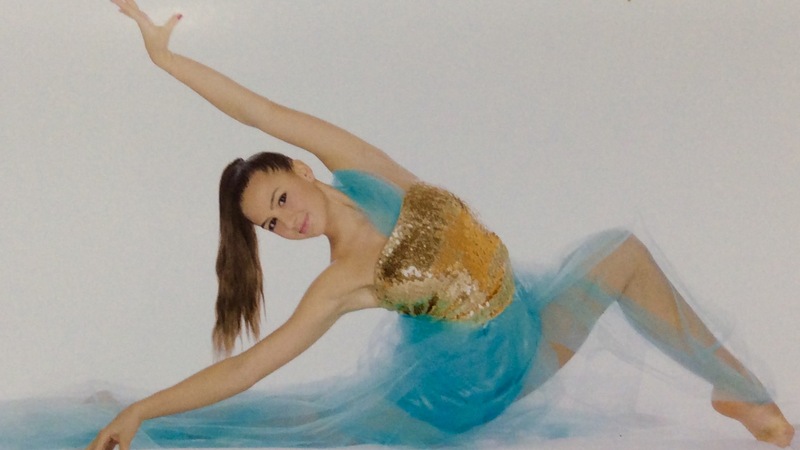 Furthermore, participating in rhythmic gymnastics inspired me to pursue a related career – physiotherapy. I currently use many of the skills I learned as an athlete in Aura Rhythmics to inform my practice as a physiotherapist. As a result of my experience as a gymnast, I have a passion for physical fitness which I have the privilege of sharing with others in my daily work. I am grateful to have spent my adolescence as a rhythmic gymnast, and especially lucky to have done so at Aura Rhythmics. The club provided an exceptional familial community to grow up in. Kamena Petkova was an inspirational coach to me, and when I return to visit the gym I can see that she has instilled the same passion in all of her athletes past and present. I felt very alive training and competing in this sport, and it allowed me to pursue my passion for traveling at an early age. However it also imbued in me the awareness of working hard and challenging myself to reach goals. I could not have done this without the coaches, managers, and teammates at Aura Rhythmics. I recognize that many of my life long skills of hard work, public speaking, creativity, and curiosity were developed because of my time at Aura. I began rhythmic gymnastics at the age of 9 after Kamena saw me at a McDonald’s birthday party that her daughter had also been invited to. She approached my parents and asked if they would be interested in bringing me to the gym to try rhythmic gymnastics out. Boy, am I glad they listened because the sport of rhythmic gymnastics and the Aura Rhythmic Gymnastics Club changed my life forever. I could not have asked for a better coach than Kamena, who poured her heart and soul into my training, and pushed me to reach achievements I could never have imagined. 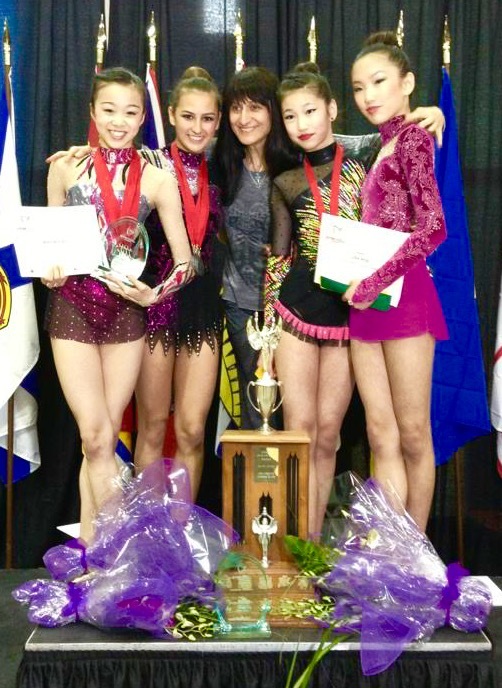 Under her’s and Yimei’s guidance I became a member of the Canadian National Team and competed at both the World Rhythmic Gymnastics Championships and the Pan American Games. After retiring from the sport I went on to become a professional dancer in LA and was blessed with the opportunity to go on tour across Europe for the German pop star Helene Fischer. From dancing I began training for the stunt industry and have been fortunate to be a part of some amazing projects including the upcoming Deadpool 2 and TV shows such as Arrow, Supergirl, and the Flash. I must say that the skills I gained from all my years of rhythmic gymnastics training created a strong foundation to build on for all the other skills I needed to develop for my career. I will forever be grateful to Kamena, Yimei, Gina and the Aura Rhythmic Gymnastics Club.